Fireside by Kettle at the SM Mega Fashion Hall - All Chucked Up! Fireside by Kettle is a new restaurant located inside the SM Mega Fashion Hall at SM Megamall. 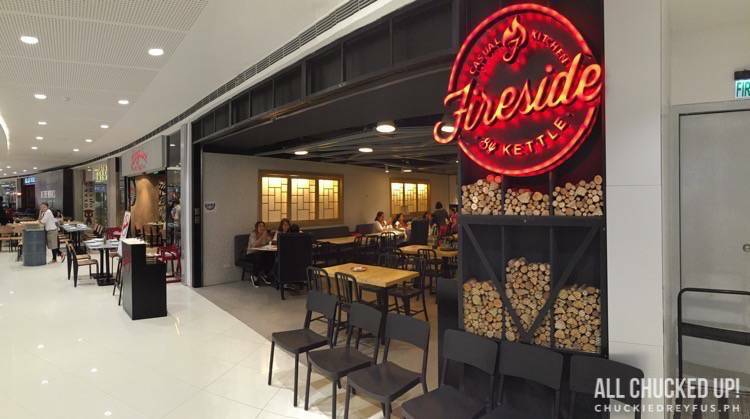 Just as the name of new establishment says, Fireside is owned and operated by the same wonderful folks of Kettle (one of the hottest food spots inside Shangri-La Plaza’s newest wing). If you’ve been to Kettle before, you pretty much already have an idea of how incredible the dishes of Fireside are. Think of Fireside as more of a mature version of Kettle in terms of offerings. Why is the establishment called, “Fireside”, you may ask? Because, according to them, in a campfire gathering, all the action and fun happens around the fire. All the great stories that are shared as well as good amounts of laughter and bonding happens at the fireside. This restaurant seeks to capture that kind of wonderful experience… where great moments and amazing memories are created. During my recent visit to this very cool place, I was absolutely excited to try out the dishes that will undoubtedly make Fireside by Kettle another hit with people who love great food. I can’t wait to tell you about ’em! Ah, yes! 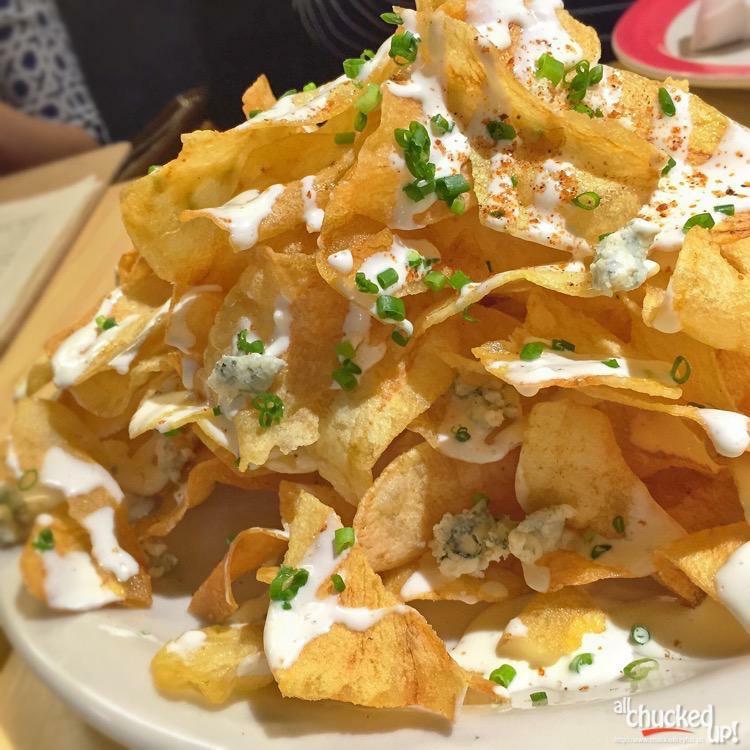 That unmistakable pungent yet irresistible aroma of delicious truffle oil drizzled all over a mound of crunchy potato chips is sure to prepare your palate for the gastronomical feast that awaits. Its got bleu cheese, too, which I absolutely love! How can you say no to delicious wings? Especially when its got an incredible blend of sweet, salty and spicy flavors. This is best eaten using your bare hands. After every bite, dig in and take a mouthful of Fireside by Kettle’s crispy sweet potato strips. It’s every chicken wing lover’s dream. This is not your typical meatloaf dish. Fireside by Kettle’s very own 50/50 Meatloaf is made of (get this!) 50% GROUND BACON and 50% GROUND ANGUS BEEF! OMG, right?! It’s crazy! Bacon and Angus Beef… I’m so there! It comes with barbecue sauce on the side for those needing a hint of tanginess. 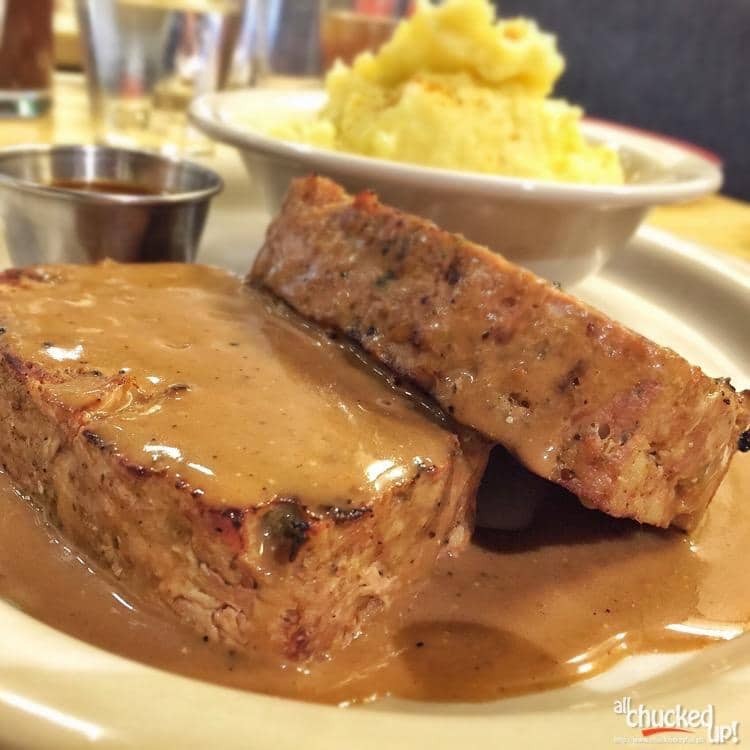 However you want your meatloaf, you cannot go wrong with this baby. 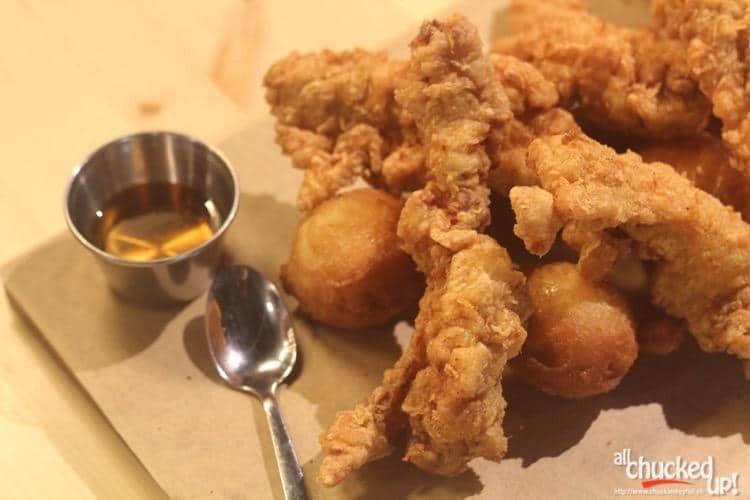 If you’ve ever been to Kettle at Shangri-La Plaza, you probably already know how delicious their Buttermilk Fried Chicken is. 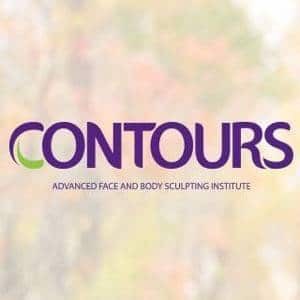 It is one of their establishment’s best sellers and is what keeps customers coming back. Fireside by Kettle, serves the same dish albeit slightly differently. 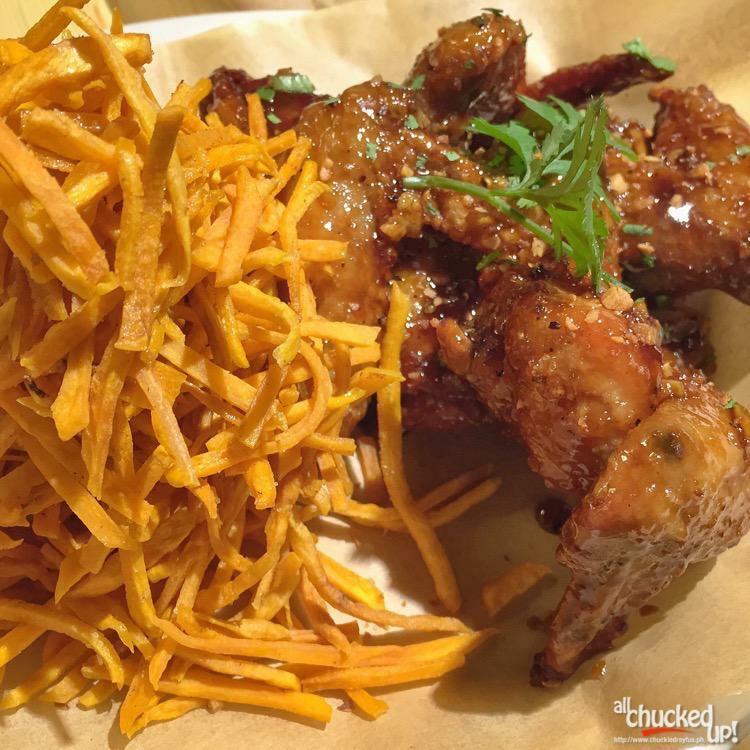 At Fireside, Buttermilk Fried Chicken is served by way of fingers. You get the same delicious flavor you’ve come to love with Kettle’s version but without the hassle of prying the meat off the bone. Crispy outside, soft and juicy inside. This! Words fail me. 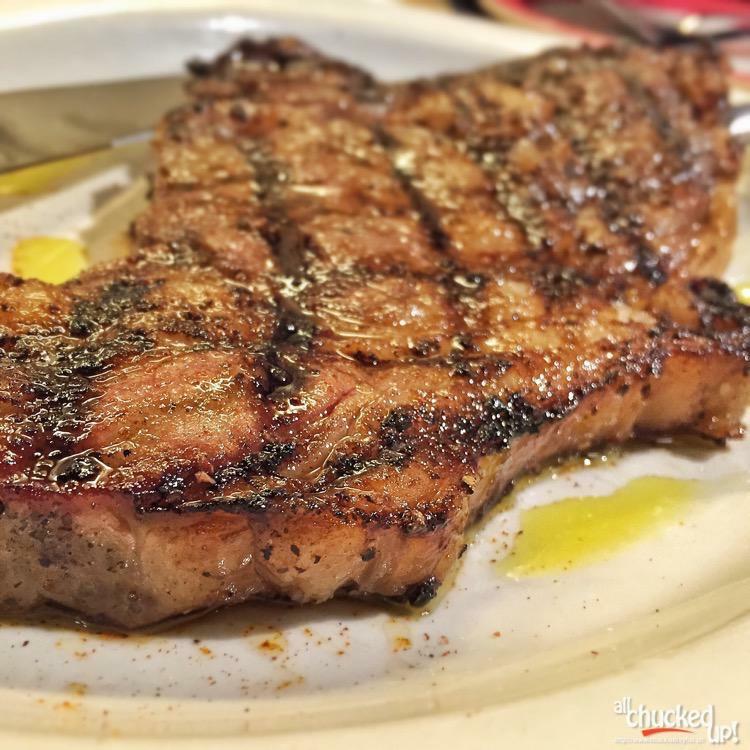 A perfectly good steak needs no sauce or gravy. Love at first bite… although I was already drawn to it the moment it was served to us. I’m getting hungry already. Argh! Remember those nostalgic Bicho-Bicho treats which are commonly sold along sidewalks and bakeries? 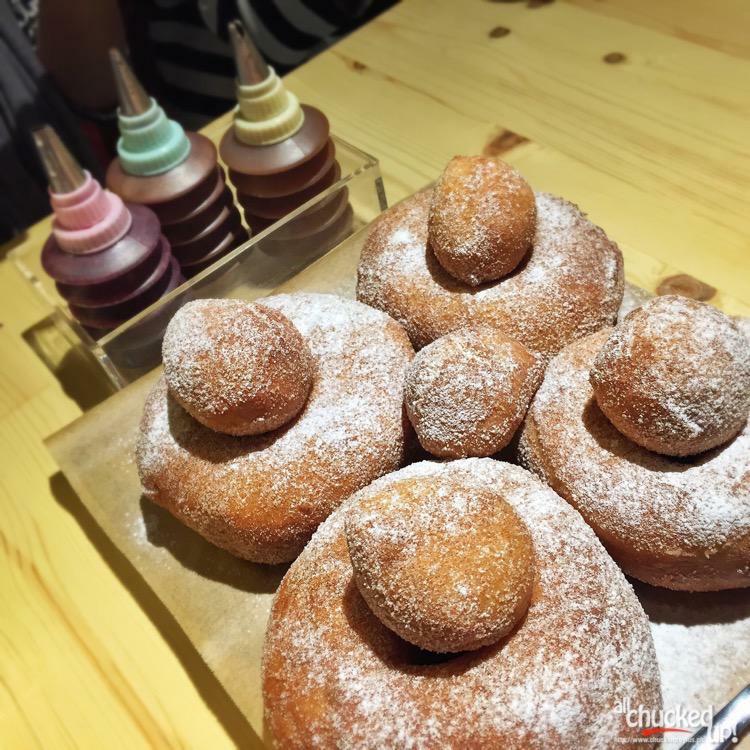 Well, think of Fireside by Kettle’s Homemade Doughnuts as something similar to that but “sossy-fied!” (Hahaha!). It’s something that needs no introduction and is easy to fall in love with. It also comes with 3 delicious sauces (Salted Caramel, Chocolate and Raspberry) which you can use to add a little twist to an already endearing treat. Notice how everything at Fireside by Kettle is homemade? Their very own version of this campfire staple is no exception. 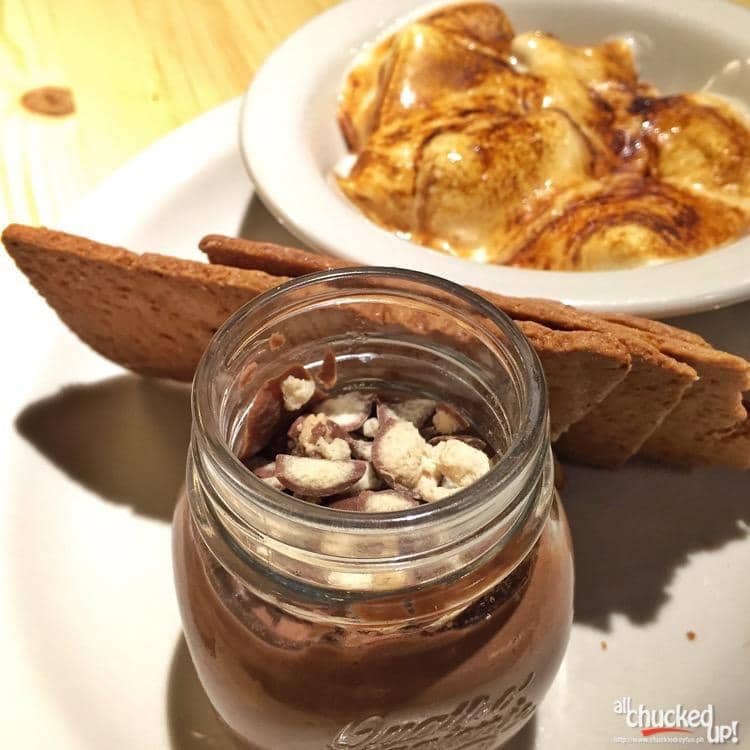 These special s’mores are served deconstructed. It also comes with crushed Maltesers and Fireside by Kettle’s specially made graham crackers. This is sure to be a hit with chocolate lovers. If for anything, this Coconut Checkered Cake by Fireside by Kettle is pretty to look at. 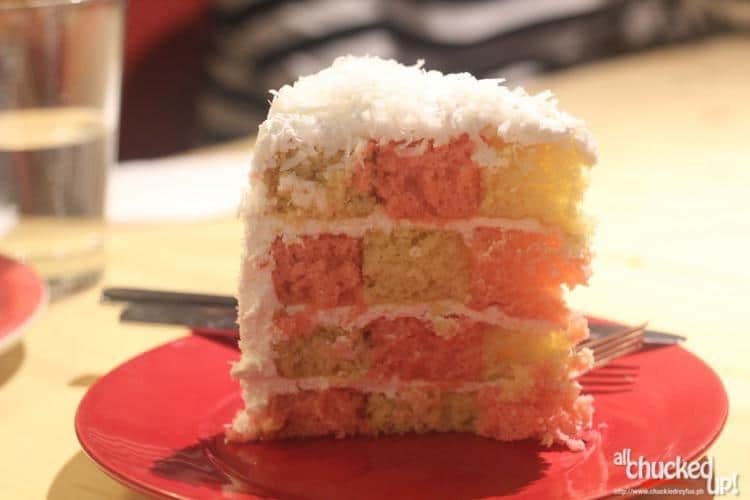 This cake is a combination of strawberry and vanilla flavors topped with coconut icing. Crumbly and moist at the same time. Something to consider after a hefty meal of flavorful dishes. To know more of their dishes, you can check out my wife’s very own Fireside by Kettle review on her blog. By the way, don’t be intimidated by the establishment’s prices. It may seem a tad pricey at first glance but the dishes at Fireside by Kettle are all good for sharing. If you ask me, Fireside by Kettle is worth anybody’s trip and petrol if you’re on the lookout for places with great dishes to discover. But hey, don’t take my word for it. 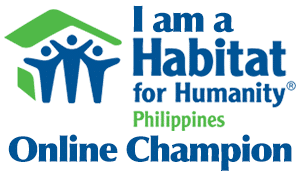 Find out for yourselves and be just as pleasantly surprised as I was when I first visited the place.